Parking is FREE after 5pm and all weekend long, including city owned permit spaces and metered lots. 2 HOUR FREE ON-STREET PARKING! On-street parking: free every day. 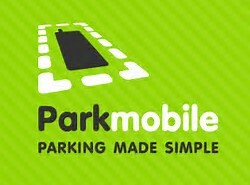 The up to 2 hours FREE applies weekdays between 8 a.m. and 5 p.m. To add additional time to on street parking spaces, engage parkmobile. Main Street Garage: Weekday public parking is located through the Cedar Street entrance and is $1 per hour from 8am-3pm. It’s free after 3pm. Main Street entrance is permit only 8am-5pm weekdays and free after 5pm and all day weekends. City permit parking lots are unused at night, which provides even more free, convenient parking after 5 p.m.
Munn Park parking lot is free after 5 p.m. and on weekends. With Downtown Lakeland’s Universal Valet Program, there’s always a convenient parking space for you! The valet system is ticketless to provide you faster more convenient service. Drop off your car at the valet stand centrally located in the Munn Park parking lot. Your valet attendant will ask for your cell phone number so you can receive your valet ticket via text. When you are ready to leave, simple reply to the text with your location and the valet attendant will bring your car to you. No need to return to the Munn Park parking lot to retrieve your car. 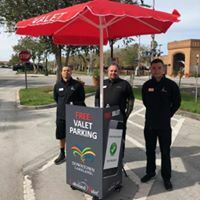 The Universal Valet Program will operate Wednesday, Thursday and Friday days from 11am to 3pm and Friday and Saturday evenings from 5pm to midnight. Regardless of your destination, the Universal Valet service is free, but for gratuity. Main Street Garage (Cedar St. entrance) is metered parking at $1.00 per hour weekdays, 8 a.m. to 3 p.m., and free after 3 p.m. and on weekends from the Cedar Street. Bay Street Parking Lot is metered at $1.00¢ per hour weekdays, 8 a.m. to 5 p.m. and free after 5 p.m. and on weekends. Munn Park and Lot D (north of Mitchell’s Coffee House) are metered at $1 per hour weekdays, 9 a.m. to 5 p.m. and free after 5 p.m. and on weekends. The solar powered space meters accept change, cash and credit/debit cards. A few businesses downtown have private parking lots, and you will be towed if you park in their lots. These include, but are not limited to, Heritage Plaza (on Orange between Tennessee and Kentucky), The Terrace Hotel, and FedEx. Please respect the signs posted in private lots. We don’t want you to be towed! For parking tips, call us any time! We’ll be happy to help you. With 2,850 city sponsored parking spaces, there is ample parking in Downtown Lakeland!